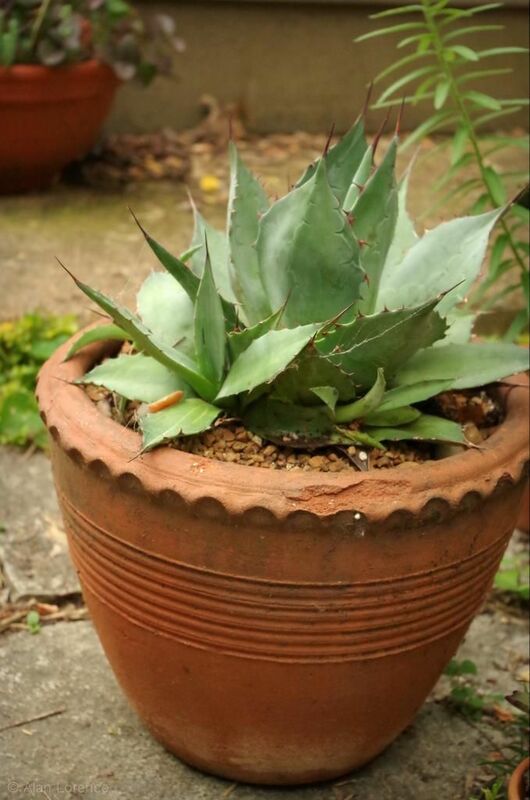 I've been wondering what I was going to put into this white pot, and I think I've found the perfect plant for it! It's already done a fair amount of growing. See its original form here. 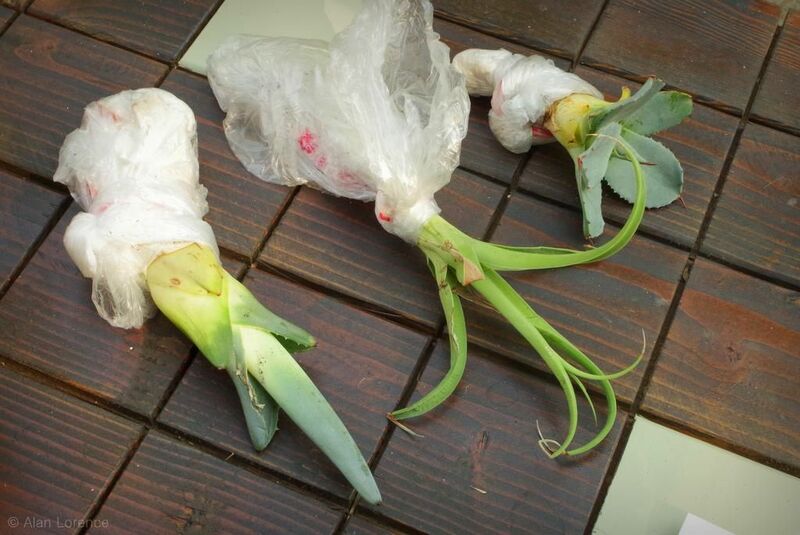 I thought I was finished with this task but found a couple of more agaves yesterday that are still in plastic pots. 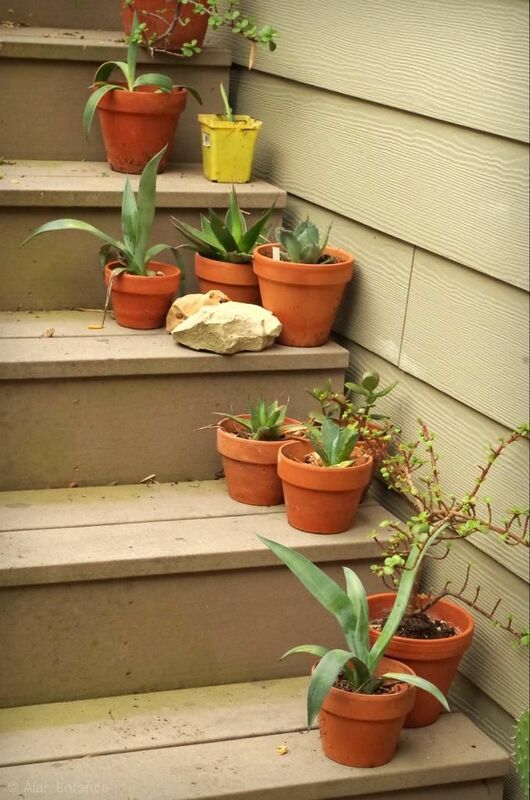 I also thought that I was out of terra cotta pots but found a few more, so it looks like I'll be doing more of this again soon. Fun but a bit dangerous! 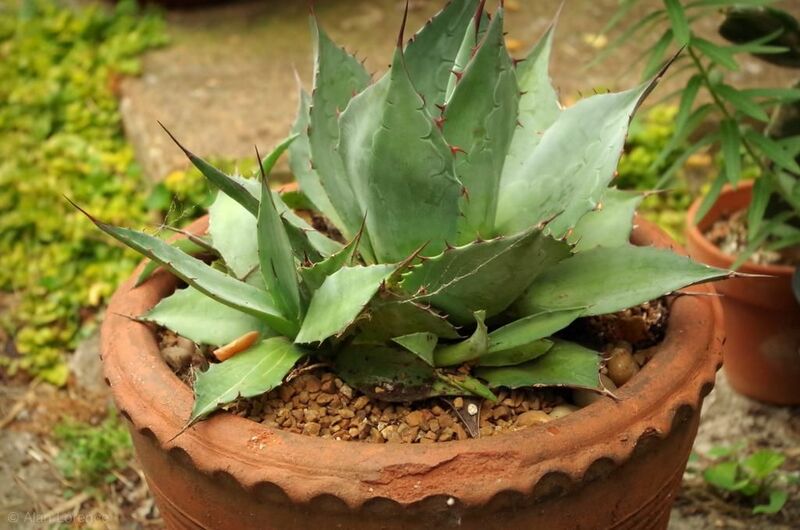 You're really getting with the Agave thing, I am so proud of you!!! 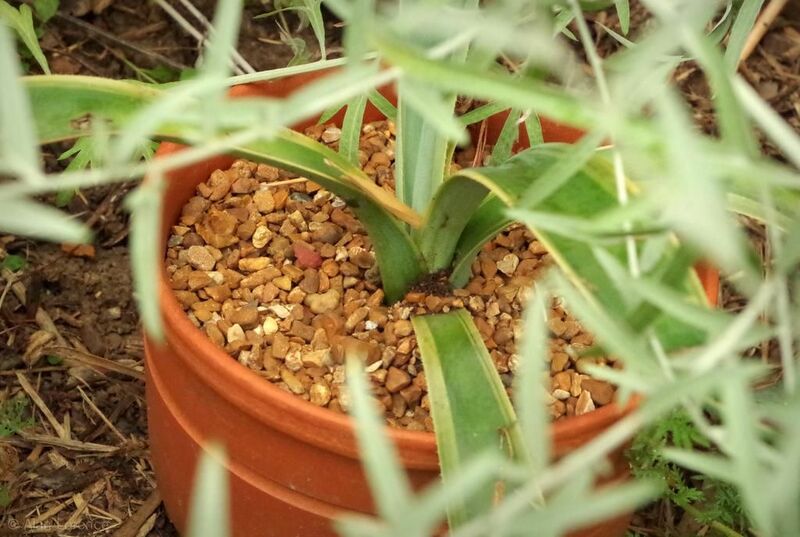 Oh and that Agave parrasana 'Globe' looks fabulous in the container with the pie-crust edge. 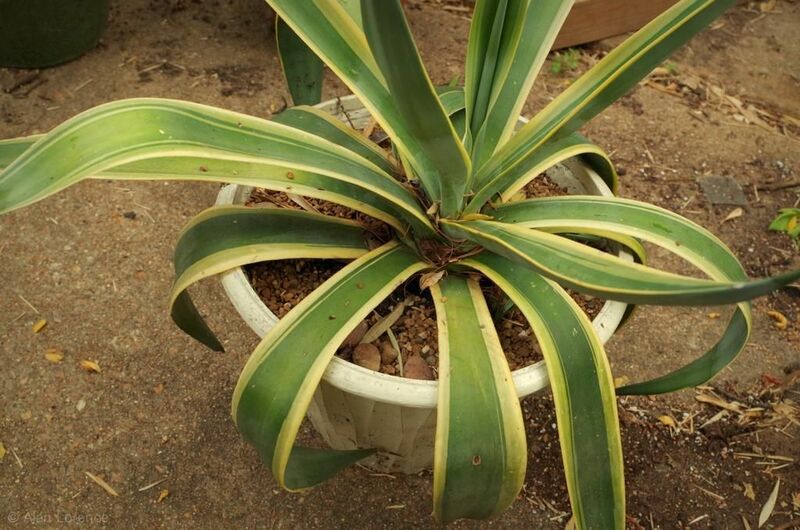 Yeah for agaves in Missouri! They're looking good. If you need more, I can send you some :-). 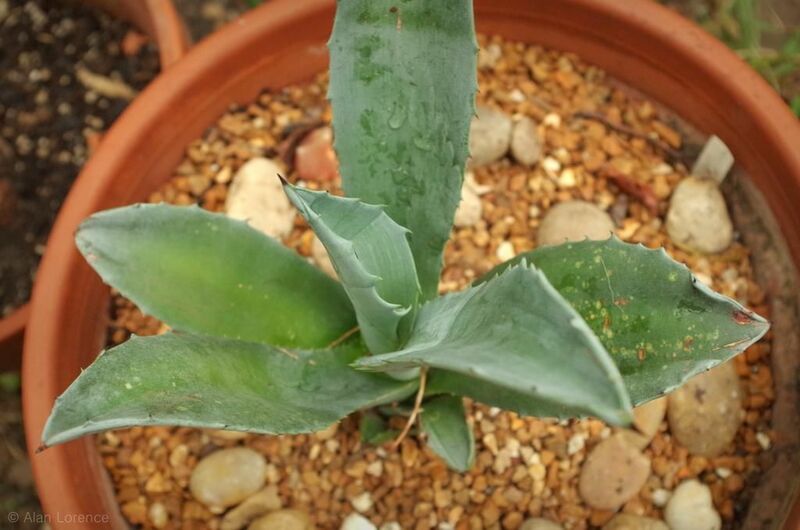 Midwest Agaves--fabulous! They look healthy, too. 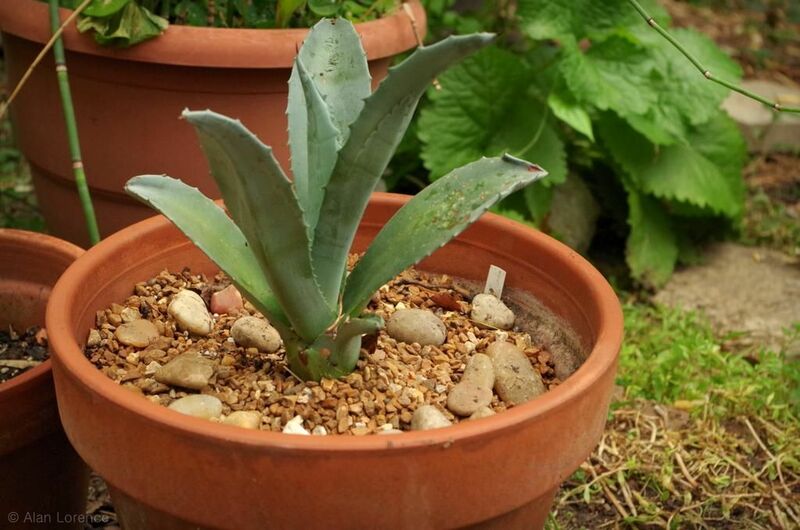 I don't think I have room to overwinter more agaves indoors, unless they really don't need very much light during the winter. I've seen photos of them stored under tables -- that I could do. Anybody confirm? 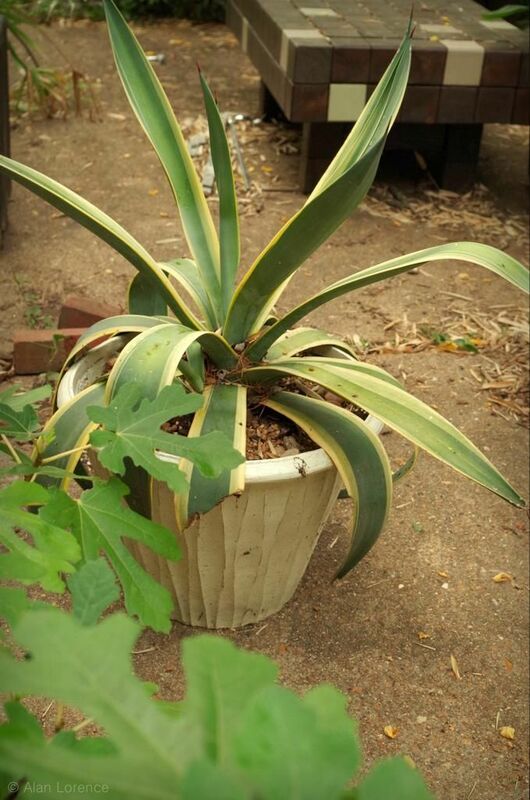 Hooray for repotting agaves! 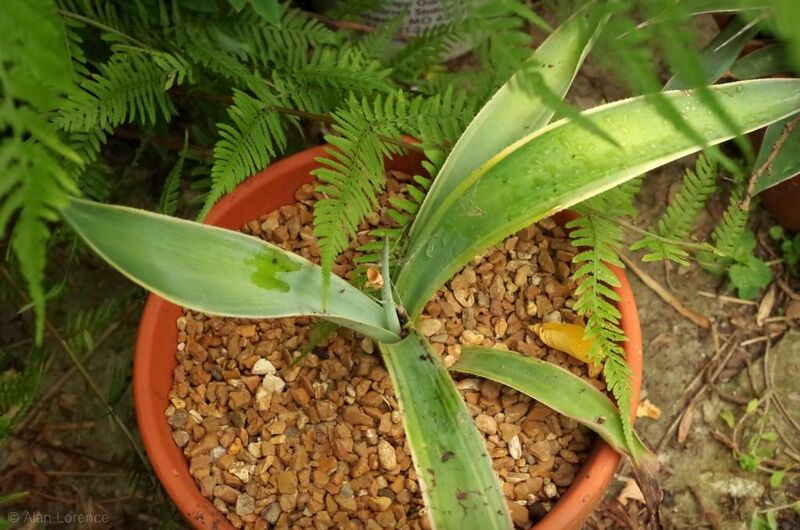 I stored three agaves under a table this winter but there was a bit of side light from a window that hit them so not total darkness and they did great with no water all winter. You could mount grow lights under your table.